Since its inception in 1992, the Globex futures trading system has taken the Chicago Mercantile Exchange (CME) by storm. 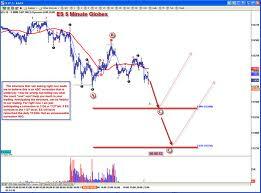 It has become the preferred method of futures trading for most investors. In fact, numbers indicate that up to 70% of the total trading that takes place at CME is done using the Globex system. Before Globex futures were introduced, investors could only trade futures using the open outcry method. This meant that they would have to go the exchange in Chicago and stand in the pit with hundreds of other investors. As stocks were called, they would signal which ones they wanted to buy. Even today, 30% of all transactions take place through open outcry. Traders must wear different colored jackets that signify their role, and must know arb, a complex system of hand signals that allows them to communicate with each other. The pit is only open for trading during regular trading hours. Globex futures has been offering an alternative to the open outcry method for nearly twenty years. In essence, Globex is an electronic version of the CME pit. It is a platform that gives investors access to every futures stock on the market. At first, it could only be accessed through booths around the periphery of the Chicago Mercantile Exchange. Today, however, traders from around the world can use this platform to buy and sell stocks from the comfort of their office or their home. It is now even possible to access Globex from a smart phone or other mobile device. The system is open 23 hours each day, meaning that even those traders who prefer the pit can use Globex to do business outside of regular trading hours. No matter where you live, or what commodities you trade, Globex futures can improve the speed and the ease of your transactions.